Finally you have been selected for the position you applied for. So what’s next? The interview of course. The interview is a conversation held between you as a candidate and the employer to determine if you are suitable for the post and compatible with the job and organization. It’s to assess your confidence, personality, enthusiasm, interpersonal skills and communication skills. You would be imagining that you would be called up for an interview where you would be meeting a manager or HR personnel. You would go the next day well dressed up for the interview and before you could realize, to your amazement, you are sitting in front of a panel of interviewers. This would have caught you off-guard! The situation would make you nervous and panicked to be interviewed by 3-4 interviewers. Hence, it’s advisable to know what sort of interviews the companies generally adopt as their policy of recruitment. 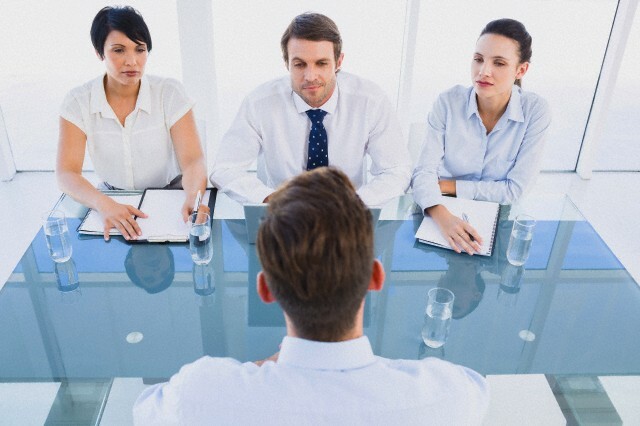 Before attending an interview, get to know how it would be conducted. Now do you know how many types are there? Though the purpose is to select the right candidate, many methods are adopted by different companies based on the category or the position the selection is for. There are three types. Let’s just brief them. A series of exchanges between the employer and the applicant is considered as email interview where the applicant’s mannerism, writing style and philosophy are being looked at. This sort of interview is often used of clarifications. The first call with the candidate is considered as telephone interview to assess the ability of the candidate before a face to face interview session is being held. The most common format where there is meeting with only one employee of the company and the whole selection process depends on his/her discretion. Here it involves direct and intimate type of conversation. It works best when the interviewer is expert in holding interviews by utilizing techniques that makes the applicants at ease and able to extract information that is most required for the post. In this round robin interviews, the prospective candidate meets professionals in the company like the HR officer, department supervisor, potential co-workers and sometimes, General Manager. This is almost of the Round Robin type but compared to it, the interviewers question the candidate together. It is often referred to as “parallel” interview. If it is structured properly, each panellist is involved in a set of questions that caters to the technical expertise, management experience, behavioral types. From this the employer would be able to judge how the candidate responds to the questions. But the questions posed by the interviewer needs to be analyzed also. What is this “Round Robin” Style Interview? It is also referred as “Serial” Interview. The candidate would be asked to meet different interviewers from different departments individually at their place or meet you in a room. In other words, it is exposing the applicant to multiple interviewers, one after the other. Sometimes it is a combination of panel type with single one to one type interview and could possible ask for a presentation from the candidate. The different questions asked in their perspective would allow the employer to know about the candidate well. Why do they conduct Round Robin style? The round robin interview style would blend a variety of questions from different people who come from the various background. The variety of inputs obtained from the candidates relate to the nature of candidate and his experience gained. It would also evaluate if he is keeping himself/herself informed and if he/she is adaptable to the work environment. This is usually employed to hire management personnel. A well conducted Round robin style interview would provide a well-rounded picture of the candidate and also whether he could perform well in other areas. It provides insights to the behavior aspects, technical expertise, adaptability, character of the applicant. To avoid confusion on the results, it’s better to keep the interviewers to 2 or 3 to reduce redundancy and demotivate the candidate. 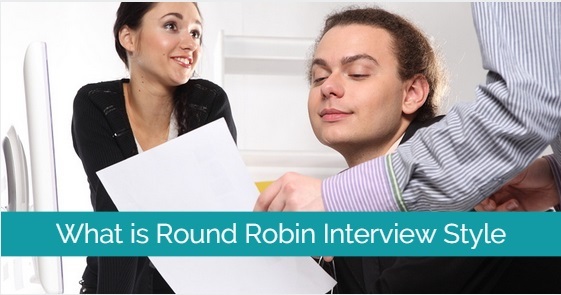 What to take care when conducting Round Robin interview style? 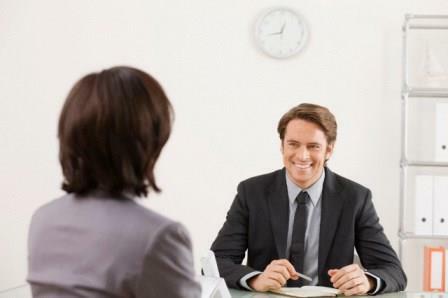 The interviewers need to prepare beforehand for the questions they are intending to ask. Frame open ended questions and probing questions to know more about the applicant. It’s better to use grading system for the evaluation so that the interviews are standardized. You could allow space for comments to be written or recorded by the interviewers. Assessment of the communication skills and interpersonal skills would be advantageous. Allow the applicant to speak about his experience and achievements. Try to focus on the positive aspects so that applicant will feel comfortable. Review points that could focus whether the applicant is team player, adaptable and responsible person. Assess the competency level of the applicant carefully using questions focussed on it. Try to find out about their personality and their character. Questions that relate with the contents as described in the CV are preferable. Keep copies of your resume to be able to submit. Have a smile and greet appropriately. Listen carefully before answering a question. If you don’t understand what has been asked, request for it to be repeated. Use eye contact when talking to the interviewer. Try to answer partially even if you are not familiar with it. It will show your interest to know about it. Don’t be caught off-guard. Be alert and focused. Keep track of the information. You are meeting multiple persons with different personalities can keep you off balance if you are not prepared for it. Take notes whenever possible. As you are liable to meet different personalities one after other, you would need to keep straight what was said and who said it. Consider everyone you meet as someone you need to prove yourself. Hence, keep patience even if you need to introduce yourself many times. Always maintain composure and calm. Don’t get impatient. Be honest in your remarks. It’s ideal to be frank in your disclosures so that you are not feeling awkward at the moment you would not have anticipated. talk about your achievement that you could ‘sell’ yourself. End your conversation with a “Thank you” before leaving the session. Well, now, have you familiarized yourself about the types of interview especially the Round robin type? Every interview requires you to do a self-assessment and prepare for it no matter what type of interview you are going to face. It’s best to follow certain guidelines to make yourself well prepared and face the interview session with confidence. Good luck! Next articleFirst 90 Days on the Job – What are your Priorities?